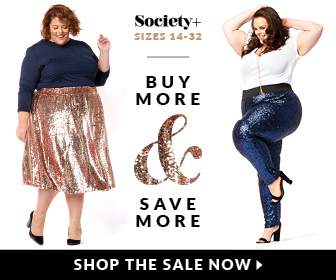 American singer-songwriter, Beth Ditto, most notable for her work with the indie rock band Gossip, is back with her Winter 2016 plus size fashion collection and it launches today! This second collection from Beth Ditto is all about “celebrating self-love, togetherness and refreshingly real beauty.” To do this, Beth collaborated with London creatives Charles Jeffrey and Hanna Moon, held a casting via Instagram and set up a house party themed shoot in Los Angeles – how cool! See the outcome of this raw, real and totally fun photoshoot below! Click Here to Shop Beth Ditto.